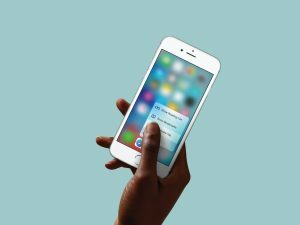 In 2015, Apple introduced 3D Touch for the iPhone and at the time the company believed the technology would play a massive role in its success moving forward, especially as it pertains to smartphone innovation. Now, some three years later, the company is reportedly close to ditching the pressure-sensitive screen tech altogether due to the fact that its development is essentially a massive waste of resources at this point. To be honest, I’m not sure I’ve ever personally used 3D Touch beyond Instagram. Furthermore, I’m not sure many iPhone users are even aware the feature is available. It would appear Apple agrees with this sentiment, but we’ll have to wait to confirm the news with the release of the company’s next generation of iPhones.